CLOSEOUTS. 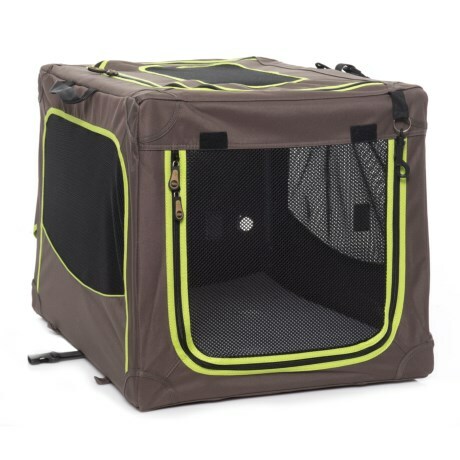 Kandamp;H Pet Productsand#39; Classy Go Soft pet crate offers a safe space for your dog while remaining lightweight and easy to transport. Available Colors: BROWN/LIME GREEN.